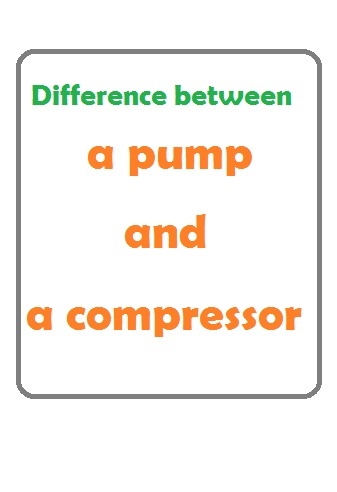 What's the difference between pump and compressor? A pump is a machine which is used to move a fluid, either liquid or gas, from one point to another. A compressor is a machine that by squeezing a gas forces it to enter another system. Pump increases the energy of the incompressible fluid. The compressor increases the energy of the compressible fluid. It is used to move oil, water, and similar items. It is usually used to move gases. There is no change in temperature and volume. The fluid volume and temperature change happen. It is used for gases.